Returns a string that contains the raw data to send to the adapter object. TrustNet explain request This request is sent to ask the server to explain why somebody has the rating they do. Definition at line 165 of file lltrustnet.h. Definition at line 168 of file lltrustnet.h. Definition at line 169 of file lltrustnet.h. 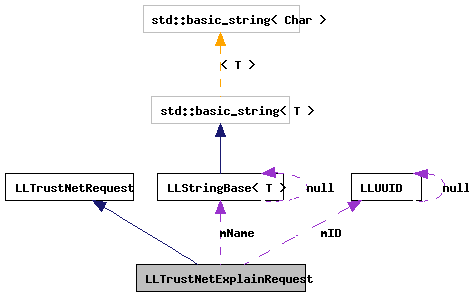 References LLUUID::asString(), mID, and mName. Definition at line 171 of file lltrustnet.h. Definition at line 172 of file lltrustnet.h.